Welcome to the official website of the United States District Court for the Western District of Tennessee. Our website was designed to provide attorneys and public users convenient access to current information about our Court and the cases being adjudicated in this District. Our Court's mission is to facilitate the prompt and equitable administration of justice while maintaining the highest standards of integrity and accountability. We believe that this website plays a vital role in achieving that goal, so we welcome your suggestions as to how we might improve this website to better serve your needs. On February 28, 2019, Magistrate Judge Edward G. Bryant retired from the Court after ten years of outstanding service to the Western District of Tennessee. More about Judge Bryant and his service to this Court. 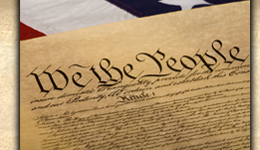 The Standing Local Rules Committee for the United States District Court for the Western District of Tennessee is accepting nominations for new members. The current committee opening is for one civil practitioner. Pursuant to the Committee's Bylaws, the Committee is composed of practicing attorneys who maintain the majority of their practice in the Western District of Tennessee. In addition, candidates should be admitted to practice before the Court, be in good standing, have extensive practice before the federal District Court, have knowledge of the laws and procedures governing practice before the Court, and have sufficient trial experience to attest to the candidates' appreciation of the nuances of the practical application of the Local Rules and the law. Candidates will also be reviewed in an effort to maintain diversity among the Committee representative of the legal community of the Western District. Candidates are expected to be able to fulfill the requirements of the three-year term as a Committee member, including regular attendance at Committee and Subcommittee meetings, which occur on at least a quarterly basis. Nominations must be submitted to Jennifer Hagerman at jhagerman@bpjlaw.com no later than February 8, 2019, and must include a current resume/CV of the nominee. The Sixth Circuit Judicial Council is accepting applications for the position of Circuit Executive. Announcement. GSA has announced an increase in reimbursement mileage rates for privately owned vehicles. The new reimbursement rate of $0.58 per mile went into effect on January 2, 2019, for travel on or after that date. The U.S. District Court for the Western District of Tennessee is accepting applications for the position of United States Court Reporter in the Memphis office. The U.S. Pretrial Services Office for the Western District of Tennessee is accepting applications for the position of United States Pretrial Services Officer in the Memphis office. The U.S. District Court for the Western District of Tennessee invites you to a reception for Magistrate Judge Edward G. Bryant, celebrating ten years of service to the Court, on Friday, January 4, 2019, at the United States Courthouse in Jackson, TN. Details. In commemoration of the 1968 assassination of Dr. Martin Luther King, Jr., the U.S. District Court held two panel discussion related to City of Memphis v. King, litigation over Dr. King's right to march with striking sanitation workers. Video of the panel discussions are available here. 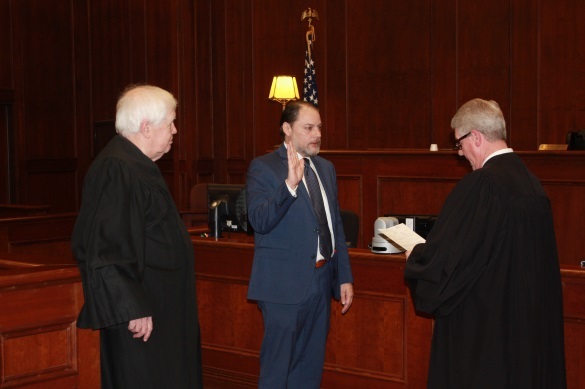 The United States District Court for the Western District of Tennessee is pleased to announce that Mark S. Norris took the Oath of Office in a private ceremony on November 8, 2018, to serve as a federal district judge for the United States District Court for the Western District of Tennessee and has commenced his official duties. A public investiture ceremony will be held on January 11, 2019. More information. The current term of U.S. Magistrate Judge Tu M. Pham is due to expire on April 20, 2019. The current term of U.S. Magistrate Judge Diane K. Vescovo is due to expire on June 14, 2019. Comments from members of the bar and the public are invited as to whether the incumbent Magistrate Judges should be recommended by the Merit Selection Panel for reappointment. All comments should be sent to MJPublicComments@tnwd.uscourts.gov. Filing procedures for Tuesday, November 6th can be read here. The US Court of Appeals for the Sixth Circuit has a job opening for an Administrative Paralegal to a Federal Circuit Judge. The U.S. District Court for the Western District of Tennessee has a job opening for a part-time pro se law clerk. Teleworkers are acceptable. The United States Probation Office in the Western District of Tennessee is seeking applicants for full-time Probation Officer Assistant positions in our Jackson and Memphis, TN offices. The United States Probation Office for the Western District of Tennessee is accepting applications for a United States Probation Officer. The Clerk's Office for the US District Court for the Western District of TN has been alerted to a malicious scam which is spoofing the phone number of the Clerk's Office. The perpetrator claims that an arrest warrant will be issued for the recipient if money is not wired to pay a fine. The Clerk's Office does not request payments through phone calls. Anyone receiving these calls should contact the Clerk's Office general number (901-495-1200 in Memphis or 731-421-9200 in Jackson) for assistance. Money should not be wired or otherwise paid to anyone based on one of these calls. The US District Court for the Western District of Tennessee has upgraded CM/ECF to the new "NextGen" version. Filers will now use their PACER logins for both viewing documents and filing. The first time you log in, you will need to link your PACER account to your old filing account. How To Link Your PACER Account To Your Old Filing Account. On Thursday, April 5, the US District Court will look back at the 1968 federal litigation involving Dr. Martin Luther King, Jr.'s right to march with Memphis sanitation workers. The event will be begin at 8:30 a.m., and will be held at the University of Memphis Law School. Keynote speakers will be The Honorable Andrew Young and The Reverend James Lawson. Guest speakers include Walter Bailey, Mike Cody, and Charles Newman, attorneys for Dr. King, and Frierson Graves, attorney for the City of Memphis. The United States District Court for the Western District of Tennessee is pleased to announce that Thomas L. Parker took the Oath of Office in a private ceremony Friday, February 2, 2018, to serve as a federal district judge for the United States District Court for the Western District of Tennessee. Judge Parker will take office and commence his official duties later this month. A public investiture ceremony will be held sometime in April. Judge Parker was appointed by President Donald Trump and was unanimously confirmed by the Senate on January 10, 2018. He was appointed to the position left vacant by Judge Samuel H. Mays, who took senior status in 2015. Judge Parker received his law degree from Vanderbilt University School of Law, 1989, and his Bachelor of Science from the University of South Carolina, 1985. Judge Parker was a shareholder in the Memphis office of Baker, Donelson, Bearman, Caldwell & Berkowitz, P.C., where he was a civil and criminal litigator. Judge Parker served nine years as an Assistant U.S. Attorney in the Western District of Tennessee and is the former President of the Memphis Bar Association. Judge Parker is married to Mrs. Allison Wellford Parker and they have three daughters, Katherine, Annie, and Ellen. Judge Parker and his family are lifelong Memphians. The District Court has approved modifications to its Plan for the Appointment of Counsel Pursuant to the Criminal Justice Act ("CJA Plan"). The amended CJA Plan is available for review.